This week will determine whether UK travel and insurance group Saga, which also owns two cruise ships, goes for a flotation on the London stock market. Estimates put the company’s value at about £3 billion (or $5 billion). Earlier this month, British model Twiggy christened the 182-berth Emerald Sky, first of four new ships for Emerald Waterways and will christen sister ship Emerald Star in June. And after an absence of five years, Norwegian Cruise Line will be back in the UK in 2015, when Norwegian Epic makes two calls at Southampton, seeking passengers to get her to and from a scheduled drydocking at her builder’s yard in St Nazaire. Over-50s travel and insurance group Saga, which has interests from cruise ships to magazines and radio, is expected this week to announce its intention to float up to £1.5 million in shares. If it proceeds, its London stock market debut could value the company at about £3 billion ($5 billion). The company’s demographic is an interesting one, with literally a shipload of people (more than 2,500) turning 50 every single day in the UK. Saga presently owns and operates two cruise ships, the 720-berth Saga Sapphire and 449-berth Saga Pearl II, and in times past has been mooted as having considered building new ships when the time is right. Saga Sapphire began life as Hapag-Lloyd’s last Europa in 1982 and Saga Pearl II as Astor in 1981. The two ships will offer a total of thirty cruises in 2015. Saga products and services are aimed at people aged 50 and above (40 for traveling companions). 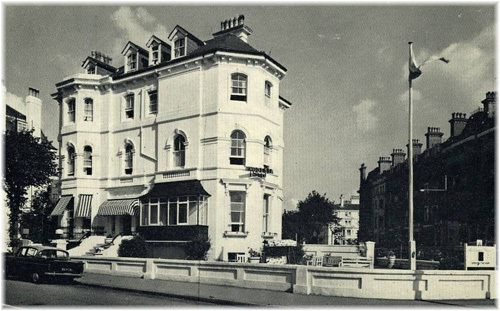 Sidney and Margery De Haan founded the company in 1950 by offering retired people out of season holidays at their Rhodesia Hotel in Folkestone, where the company is still headquartered. Until 1995, when it was reduced to 50, the company’s minimum age was 60. Saga’s business was built on high standards of customer care, value for money and talking directly to customers. Saga has been in cruising for some time. Back in 1982, the ABC Shipping Guide showed them offering 10-night Danube cruises on the Romanian river cruisers Carpati and Oltenita operating between Vienna and the Black Sea. By the early 1990s, it was chartering the 412-berth Russian cruise ship Russ for the exclusive use of its own clients. Later that decade Saga became P&O Cruises’ single largest customer when they still operated two ships, the 1,399-berth Canberra and 726-berth Victoria. Saga’s fall-out with P&O over the use of customer databases, however, proved a boon, providing the ground on which Saga really succeeded by introducing its own ships, thus controlling its own level of service. 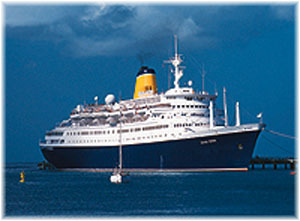 Its most popular ship, the 584-berth Saga Rose, was introduced to the fleet in 1997, just as the Canberra was retired. Only since its acquisition of Titan Travel in 2009, however, have Saga cruises been bookable through travel agents. Titan has long offered escorted ocean and river cruises, publishing a 132-page cruise & tour brochure last year. Titan also represents Uniworld Boutique River Cruises in the UK and it packages Saga cruises in another brochure with its own home transfer service, Titan’s VIP Home Departure Service. By focusing on the travel requirements of those above 50, Saga has gained unique insight into their needs and identified those needs as different. For example, drivers over 50 are more experienced and make fewer claims than young drivers. This understanding enabled Saga to continue to expand its business so that it now employs 20,000. Saga products and services include cruises and holidays, home and motor insurance, savings plans and share dealing, as well as the best-selling monthly Saga Magazine, with its UK readership of over 1.3 million outstripping both Good Housekeeping and Readers’ Digest. Saga’s owners are private equity firms Permira, Charterhouse and CVC, and it is expected to raise at least £750,000 taking into account the London Stock Exchange’s requirement for a minimum float of 25%. These firms paid £6.3 billion in 2007 for Saga together with the Automobile Association, merging the, both into Acromas, today’s parent company. Saga has sent letters to its 2.5 million customers as part of a plan to recruit its own clients to become shareholders. Investors can also register via the Saga website until April 30, 2014. Bank of America, Merrill Lynch and Goldman Sachs will lead the Saga deal, with Credit Suisse and Citi as joint bookrunners. 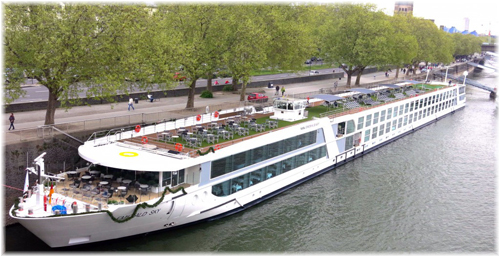 With the growth of river cruising, along comes another cruise line. Earlier this month in Amsterdam British model Twiggy christened the 182-berth Emerald Sky, the first of four “Star Ships” to enter service for new four-star operator Emerald Waterways at real value for money prices – in some cases, half of what other river operators charge. Twiggy also served as godmother of the 450-berth Seabourn Sojourn when she was christened in London in 2010 and will be godmother for Emerald Sky’s sister ship Emerald Star in June. All four are four-deck vessels on a hull of 443 x 38 feet and are being built by the De Hoop shipyard at Lobith, Netherlands. The new Emerald Waterways fleet has been designed to offer more space per guest than most other operators and many innovations unique to river cruising – such as an innovative 258 square foot swimming pool aft that converts to a cinema at night and The Terrace forward for alfresco dining. The new “Star Ships,” however, have been designed so that there is an overall sense of light and space on board. The Horizon Bar & Lounge features floor-to-ceiling windows. And through the lounge is The Terrace, looking out onto the river, a perfect place to relax in the gentle breeze while reading a book. Lined with the most comfortable lounge chairs, the Sun Deck offers 360° views of the ever-changing scenery. 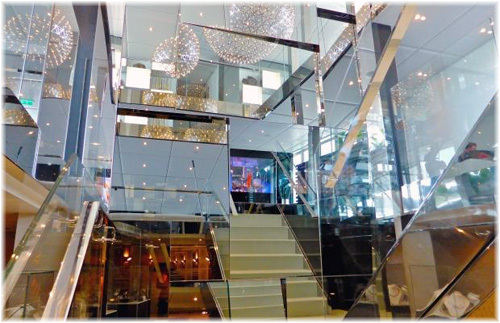 Here, is also located the stylish Sky Bar. And the pool area aft has an opening roof and great views to both sides at the stern. Emerald Waterways is part of Glen Moroney’s Australian-owned Scenic Tours Group, which already operates the upmarket five-star ten-ship Scenic Tours river cruise fleet, with two more to be introduced in 2015. It was also announced last week that both Emerald Waterways and Scenic Tours will now be bookable through travel agents for the first time, with the lines hoping to get half their future business through agents. Norwegian Cruise Line announced last week that its 4,200-berth Norwegian Epic will perform two sailings at Southampton in 2015, marking the first time that she has visited that port since her inaugural celebration in June 2010. At one time, the 2,466-berth Norwegian Jade was based in Southampton by summer and sister ship Norwegian Jewel at Dover. But since thos ships were moved to Barcelona and Venice for the 2010 season, Norwegian has been selling only fly/cruises from the UK. 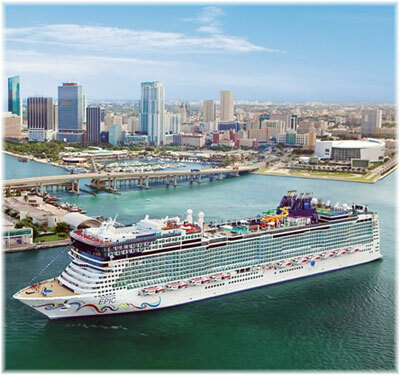 Norwegian Epic will offer a six-night sailing from Barcelona on September 20, 2015, arriving in Southampton on September 26 by way of Cartagena, Malaga and Lisbon. Following a 15-day drydocking at St Nazaire, where she was built, Norwegian Epic will offer a 7-night Iberian Peninsula cruise from Southampton to Barcelona on October 11, calling at Vigo, Lisbon, Malaga and Cartagena. UK guests will once again be able to experience Norwegian’s many dining options sailing either to or from the UK. These options include the steakhouse, Japanese Teppanyaki, Brazilian Churrascaria and Italian fare, along with twenty bars and lounges, including the first ever ice bar at sea. From April 2015, the Norwegian Epic will be based year round in Barcelona.